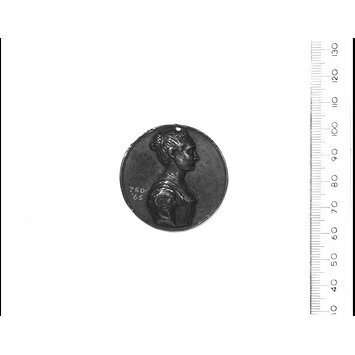 This is a bronze medal made in the middle of the 16th century. 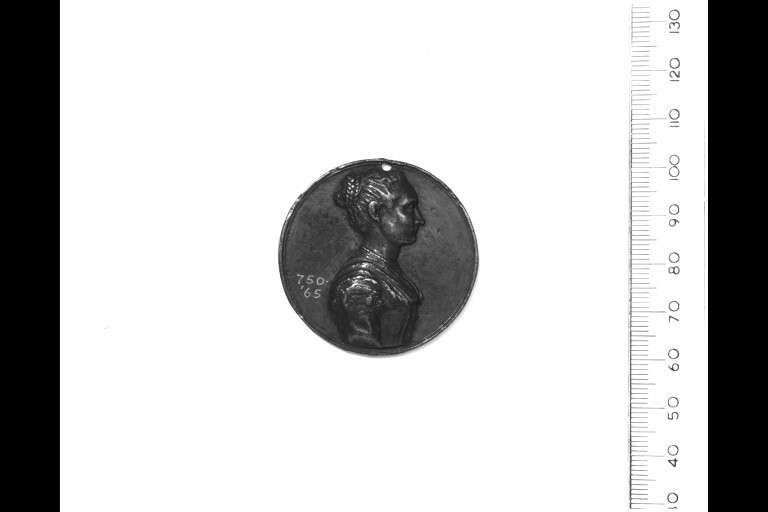 It has only an obverse which represents an unknown lady facing right. It was bought from the Soulages collection. Jules Soulages (1812-1856) was a collector of French and Italian Renaissance art. After his death his collection was acquired by the Museum. Born in Toulouse in 1803, Jules Soulages practised as a lawyer in Paris and was founding member of the Société Archeologique du Midi de la France. He created an extensive collection of French and Italian Renaissance decorative art from 1825, comprising around 750 objects, including furniture, glass, ceramics, bronzes, enamels and ivories. In the late 1840s Soulages moved back to Toulouse, where Henry Cole viewed his collection in 1855. Subsequent sale negotiations led to the production of a catalogue and two exhibitions in England at the Museum of Ornamental Art at Marlborough House, and at the Manchester Art Treasures exhibition respectively, both enhancing the celebrity of the collection, and resulting in its acquisition for the South Kensington Museum. Soulages died on 13 October 1857, aged 54. 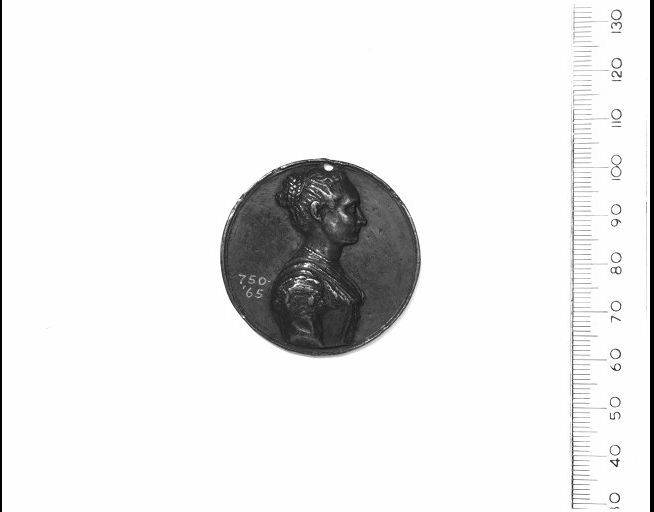 This medal has an obverse only, depicitng a portrait of an unknown lady, facing right. It was bought from the Soulages collection in 1865.